Mechatronics Division | ANDES ELECTRIC CO., LTD.
We realize what our customers really need to have. Combining with our production engineering and processing engineering which is supporting “Monodukuri”, we have pursued ideal production equipment which our customers really need to have. Our skilled technique and know-how provides you one more added value. Developing the production equipment without being stuck in the stereotypes. We will meet our customer’s demands with our technologies, ideas and planning skills which have been accumulated for many years. Our solid skilled workers are producing excellent products. 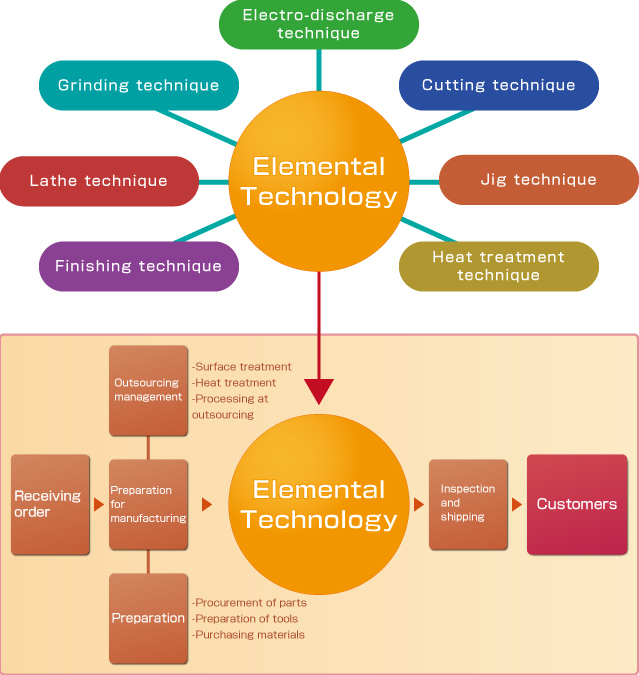 We develop production equipment which is ideal for our customers by combining our production engineering and processing engineering which is supporting “Monodukuri”. Our skilled technique and know-how gives you one more added value. Mechanical parts for laborsaving, automatic equipment and jigs. 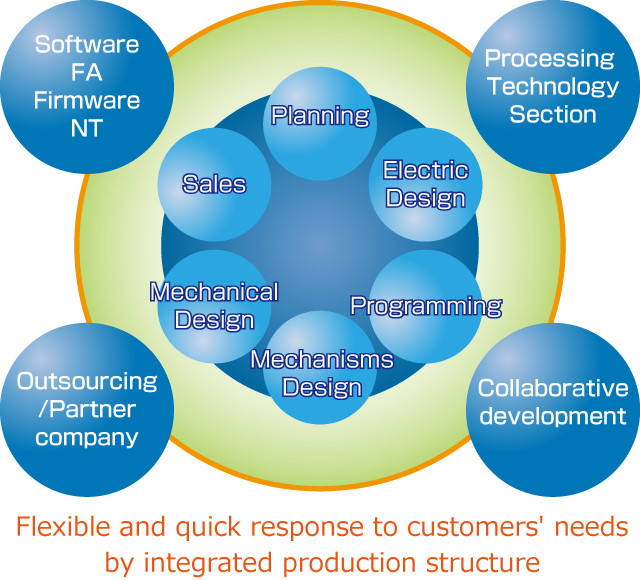 Wide application capability and solid technologies satisfy customer’s needs.